Carole J. Hyder has accomplished international success as a Feng Shui consultant, speaker, teacher, author, trainer and media personality. She has been a Feng Shui consultant since 1992, having studied with His Holiness Grandmaster Professor Thomas Lin Yun, a master Feng Shui teacher of the Black Sect tradition, as well as Roger Green, a master in the traditional Compass school perspective. Carole is the author of two books, several DVDs, has presented numerous keynotes across the country, has been published in various periodicals and presents a monthly Feng Shui segment on KARE 11 Showcase Minnesota, a Twin-Cities morning TV news program. 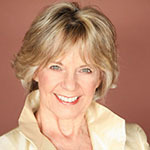 Carole was a co-founder and is now President Emerita of the Feng Shui Institute 0f the Midwest. In December 2006, Carole completed a Masters degree in East Asian Studies from the University of Minnesota. Lisa McCue Janusz graduated from the Wind & Water School of Feng Shui in 2006, after 10 years of personal studies in Feng Shui. She joined the School in 2007 as a consultant and now serves as partner, faculty and registrar. 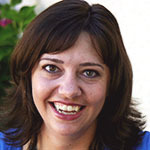 In addition to being a Feng Shui consultant, speaker and teacher, she has an extensive business background. Lisa has more than 15 years of strategic business communications and management experience within a broad range of industries. She received a Masters in Business Administration from the University of Arizona and a Bachelor of Arts in Communication from Arizona State University. Her past corporate positions have included marketing and communication, business development and strategy roles. She currently provides business consulting to companies both in the Twin Cities and nationally through her own company.